As anyone who follows hockey is sure to have heard in recent weeks, the health of Gordie Howe is not great after suffering a stroke on October 26th. The man known as “Mr. Hockey” has more than earned that title (among numerous others that he goes by) as his dominance in the NHL is unbelievable. Howe started playing hockey in the 1940s, and made sure to play at least once a decade into his later years, becoming the only player to ever play in 6 decades (after signing a one-day contract and playing in the IHL, 5 decades in the NHL (1940s-1980s)), and also holds the record for oldest player to play in the NHL at 52 years, 11 days (with 2nd place on that list being 48 years old). While he never had that strong scoring year (never eclipsing 50 goals in a season) he currently ranks 3rd in Points, but first all time in NHL Regular Season games (1,767), most regular season games with one team (1,687 with the Detroit ) and was the first player to reach 1,500 games. All those stats come with a fair share of awards, such as 6 Hart Trophies (MVP) and 6 Art Ross’ (Leading scorer). And lets not forget being named to the All-Star game 23 times!!! One of the legacies that I enjoy most is the “Gordie Howe hat-trick”. While he himself only reached the milestone twice, it was named after him because of his scoring and fighting skills. While a regular hat-trick is scoring three goals in a game, the Gordie Howe hat-trick is recording a Goal, an Assist, and a Fight in the same game. 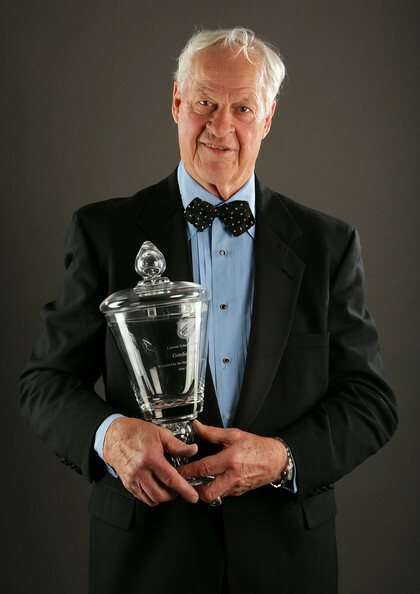 And lastly, Mr. Hockey was the inaugural recipient of the NHL Lifetime Achievement Award. 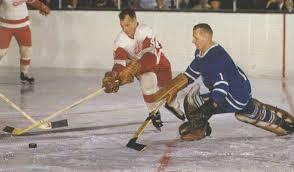 And no matter what, people should never forget Mr. Hockey and Gordie Howe’s impact on the game.